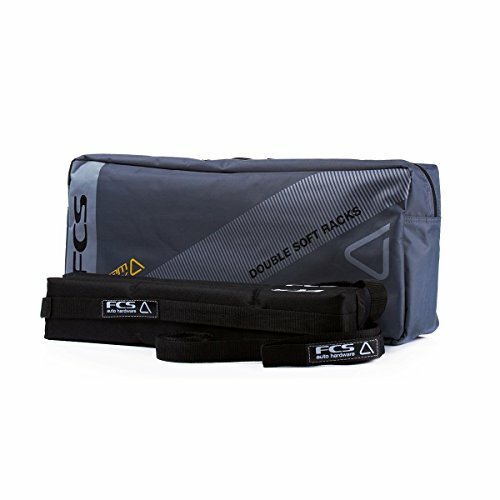 Transport your boards safely and securely with the double soft racks by FCS. It features a simple and strong Cam Lock range that will strap your boards down fast so you can get to the beach before the crowd! Fits most cars, vans, SUVs/4WDs, etc. Fits most cars, vans and four wheel drives. Holds 1-6 shortboards or 1-4 longboards. Heavy duty 25mm nylon webbing. Metal CAM Lock system encased in a neoprene steeve for protection.